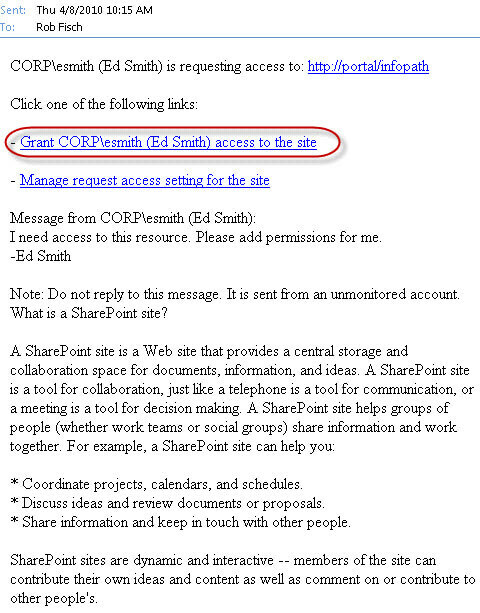 When managing permissions with groups, the link in the automated access request email is wrong. 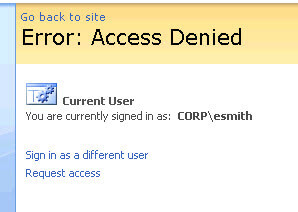 When users try to access a resource without the needed permissions, they get a web page with an error message. 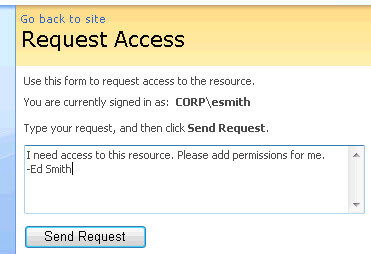 In the default configuration, the web page offers a "Request access" link. When clicking the link, the user can send a brief message. The message is emailed to whoever is configured to manage access requests. When the email arrives, it contains a link. This link is useful if you manage permissions on the resource by named user. HOWEVER, if you manage permissions by using SharePoint or Active Directory Groups, the link in the email is misleading and should not be used. Before blindly clicking on the link, review the permissions setup to see if the resource is managed by 'named user' or by 'group'. Learn to Delegate Permission Management to (power user) business owners of particular resource.